HomeBlogWhat Upgrades are Best to Make with a Builder? If you’re building your own home with a builder, you’ll typically have the option to choose and invest in upgrades like higher quality floors, appliances, and electrical options. Builders often have a dizzying array of options to choose from, and it can be tough to know which ones are a good idea and a smart investment. In general, it’s best to focus on enduring investments like better insulation, higher quality construction, or more square footage. You should also focus on items that can’t be changed easily, like plumbing, electricity, and floor plans, for example. Other smart ideas are upgrades that will improve your quality of life or enjoyment of the home, like radiant heating floors, extra large closets, or task lighting. We’ve highlighted some of the smartest upgrades you can make with your builder, ranging from structural changes to electrical outlets. Plus, we’ve included average national pricing for these projects so that you can compare their cost of taking them on later after building is complete. Home lot: One thing you really can’t change once you’ve built your home is the lot where it’s located. It’s practically impossible to move your home to a better area in the neighborhood or to a larger lot later. If you’re considering this upgrade, know that this is your one and only chance to take it! 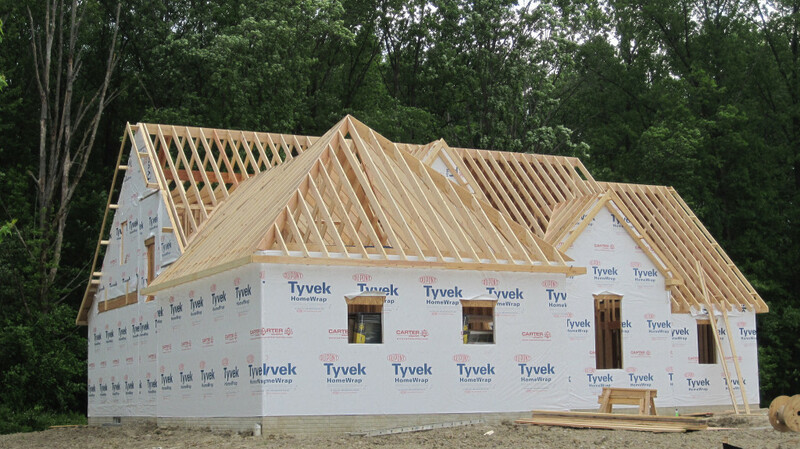 Structural changes: An extra bathroom, back porch, larger closets, extra garage area, or raised ceilings are all difficult and much more expensive to add once construction on your home is completed. Cost to build an addition: $35,000. Extra large or additional cabinets: Give yourself some extra storage with extra large or additional cabinets, or cabinets that go all the way to the ceiling. This is an upgrade that buyers are often willing to pay more for. Cost to install new cabinets: $4,000. Upgraded cabinet and drawer hardware: Opening and closing drawers and cabinets day after day for decades can really take a toll on your kitchen. Soft close hinges and premium drawer slides can keep your cabinets and drawers in good shape for years to come. Cost to repair cabinets: $252. Large center island: As the entertaining hub of your home, it makes sense to add more counter space, storage, and even an eating area with a large center island. Stainless appliances: Make your kitchen shine bright and improve your resale value with stainless appliances including an oven, stove, dishwasher, and refrigerator. Cost to refinish an appliance: $275. Add task lighting: Undercounter lighting and lighted cabinet interiors can make it easier and safer to work in your kitchen, plus add a nice look to your cooking area. These are often difficult to install after your kitchen is constructed. Cost to install a light fixture: $375/each. Trash and recycling drawers: Make waste more convenient in your home with a trash compactor and a recycling drawer. You’ll spend less time having to run out to the garage or backyard with trash bags, plus, help conserve space and the environment. Extra large cabinets: Just like in the kitchen, the bathroom is a great place to consider investing in additional storage. Cost to install new cabinets: $4,000. Custom mud room or drop zone: If you don’t have a designated mud room or area to drop backpacks, mail, shoes, and other items near your home’s entrance or garage consider getting one from the builder. It will be difficult to add something like this later. Flooring: One of the most popular upgrades, flooring is something you’ll see throughout your home, and it makes a big impact. And while this is often cheaper to do later, it can be a big hassle to take care of once your furniture and other items are moved in. Plus, investing in flooring often pays off for future buyers. Building a home is an exciting journey, but advanced planning can help avoid costly repairs and replacements. If you’re an independent contractor looking to expand your business without spending additional money in advertising, apply to be a Choice Home Warranty vendor today.